Weather has a profound and widespread influence on business. We are all vulnerable to unforeseen weather events, and the inability to manage weather-related risk can limit business success, thwart economic development and threaten public safety. 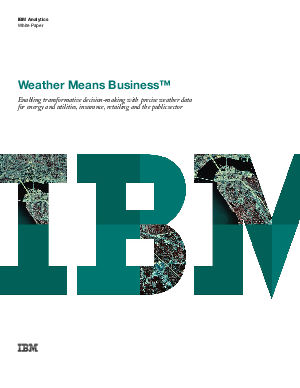 This whitepaper discusses the uses cases for weather data for various industries, including government, insurance, retail and energy and utilities.